Developed and designed for the needs of numerous end-users, this advanced 16 channel surveillance system has improved camera resolution to 600TVL, while still being affordable. This Zmodo Series Security Solution allows you to maintain your busy lifestyle while enjoying peace of mind knowing that your home, family, business or employees are safe and secure. This advanced 16 channel complete security solution with 16 hi-resolution (600 TVL) night vision cameras that is fully controllable on your Smartphone, Tablet or PC. With motion activated push notifications, email alerts and easy Smartphone access, this Zmodo surveillance system gives you true, 24/7 day or night, video security no matter where you are located in the world. 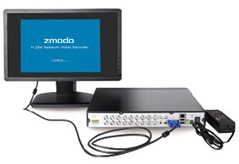 All Zmodo DVRs are accessible over the internet via PC computers using the Camera Management Software downloadable from the product page. Gain peace of mind knowing that your property and loved ones are safe and sound. 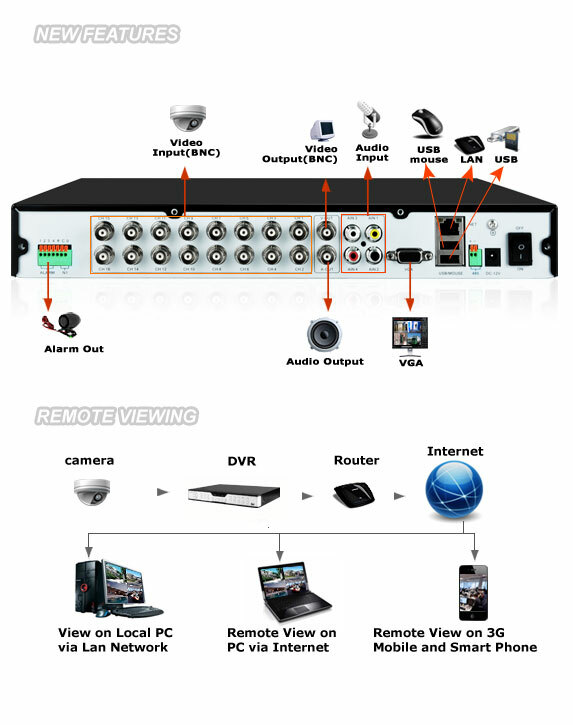 Maintain vigilance and experience true peace of mind with the Zmodo 16-channel security DVR.Featuring the innovative network connectivity, it allows you to quickly and easily connect to your smartphone, tablet or PC from anywhere, anytime. The DVR can be set to continuous recording, time scheduled recording and motion triggered recording. Each individual camera can have a unique settings.Easily find and playback your security footage by searching a specific channel using date or time. 700TVL high resolution cameras allow you to easily distinguish between people, objects and actions. 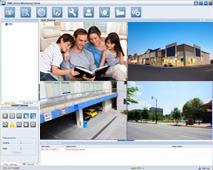 700TVL high resolution provides clear and accurate video footage both day & night. Built-in IR-Cut, provides accurate color reproduction in all lighting conditions with crisp and detailed video you can rely on. 24 high-intensity infrared LEDs provide illumination in low-light situations, allows up to 65ft night vision. See more with a 3.6mm wide angle lens, up to 70 degrees. 3G Mobile Support mobile phone based on Android\ iPhone\ iPad\ IOS\Symbian\Windows Mobile. Net Protocol IPv4, PPPOE client, DHCP client and TCP/UDP protocol supported.